Mr. Zhu is an international entrepreneur and angel investor. 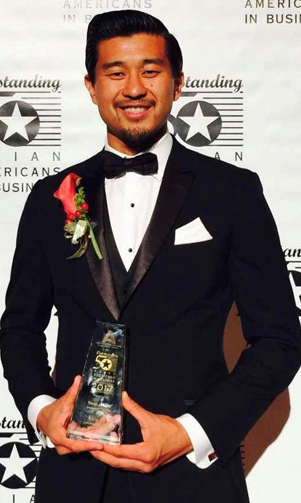 He co-founded West Suburban Angels, is chairman of the Zhu Holdings Group Company, and chairman of Jiangsu Full Cell Energy Technologies is a 2017 AABDC 50 Outstanding Asian Americans in Business award recipient. He is an international entrepreneur and angel investor, and co-founder and partner in SmartHealth Activator, a biotech accelerator and venture firm in North Chicago. In their efforts to build a bio-startup ecosystem in the Chicagoland area, SmartHealth Activator partnered with Rosalind Franklin University to build a $50 million, 4 story, 100,000 square foot biotech research and innovation park. Lake County Partners estimated the first phase of the project will create 498 jobs and have an annual economic impact of $117 million. Tianyi Joe is also a co-founder of West Suburban Angels, and is the founder and chairman of the Zhu Holdings Group Company which just recently opened Cooper China, the China operations of the famous Cooper Clinic in Dallas, Texas. Cooper China just had its grand opening of a 250,000 square foot health clinic in Nanjing, China. Tianyi is a proverbial serial entrepreneur getting his start at the age of 19, when he founded Life&Qi, an eastern medicine supplier that operated through partnerships with companies in China. He’s since then founded many others, and has recorded exits in both his personal ventures as well as investments. He’s been a board member to several not-for-profits, and past president of the Naperville Jaycees and was the previous US representative for the Chinese Welfare Population Foundation which reported to the Minister of Civil Affairs. Tianyi was recognized by Hennessy’s with their “Never Stop, Never Settle” entrepreneurship award, was a University of Illinois Alumni Association: UIAAAN Featured Alumni, and received the honor in 2015 of Mandarin Leader for Entrepreneurship. In his personal life, Tianyi is a professional boxer, has competed in the 2008 Chinese Olympic Trials, trained with the Chinese National Team, and was a IKF Amateur Thai Boxing World Champion.